Azta Urban Salon is the hair hotspot of choice for many of the Metro’s young urban denizens. This comes as no real surprise as the salon is known for its hip, stylish, and up-to-date haircuts. In its effort to always be in-tune with the pulse of the youth, its creative team constantly scours the latest trends in fashion from both here and abroad, in order to deliver beauty and grooming expertise that are current, fresh and inspired every season. 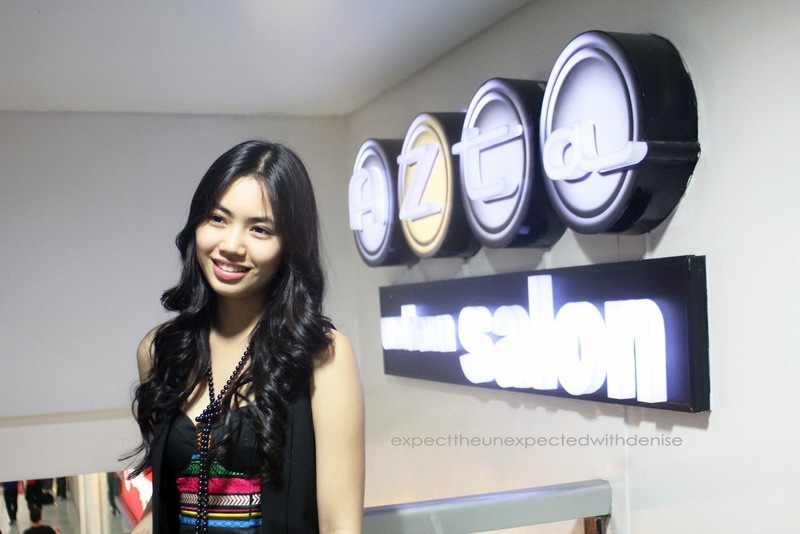 I was so glad to have the chance to experience Azta Salon's services just yesterday! :) Check out my pictures below! Chilling while waiting for my Revitalizing Cocomilk Hair Treatment to be done! Super shiny, healthy and amazing looking hair! Thank you so much to tita Maita for the invite! Dreadlocks, Corn rows, Hair extensions, Eyelash extensions, and Eyelash perming.